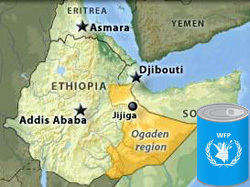 A political advisor to Eritrea’s President Isaias Afwerki says the Horn of Africa country rejects any forms of international aid, and only seeks strategic investment partnerships. 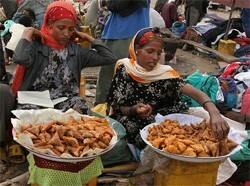 Ethiopians awoke Tuesday to news that food prices had increased nearly 50 % over the past year. They didn’t need to be told. 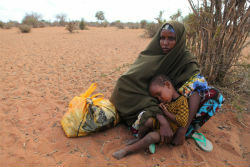 Even middle-class Ethiopians are finding it more difficult to feed their families. Ethiopia’s annual inflation rate jumped to nearly 40 % in July. The Central Statistics Agency says food prices, which comprise more than half the Consumer Price Index, were up 47.4 % from a year ago. 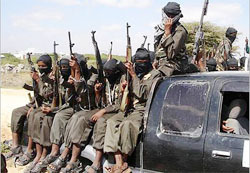 Abdirahman Omar Osman, a government spokesman, said on Saturday that al-Shabab was retreating from the city, calling it a “golden victory for the Somali people“. He said government forces have begun deploying cautiously in the pockets of the city previously under al-Shabab control. The government is urging city residents who fled their homes to return, promising the military will spare no effort in securing their areas.